A Roth IRA is more than a piggy bank. 1. 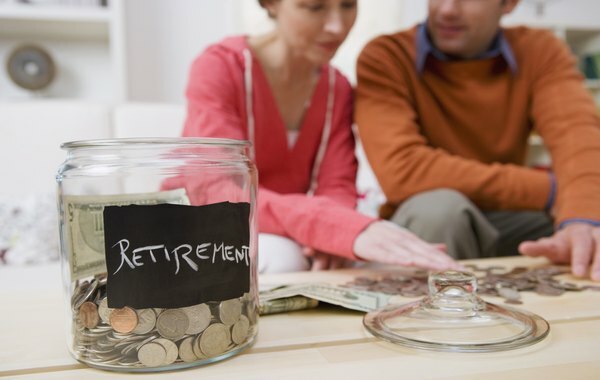 Can I Contribute to a Roth IRA & Mutual Funds? 2. Do IRA Accounts Invest in the Stock Market? Holdings in a Roth Individual Retirement Account (IRA) are exempt from future taxation. That means what you see is what you get when you are eligible to withdraw funds. With this in mind, investors should keep investments with the heaviest tax burden in their Roth IRA accounts. Though selecting stock investments always requires prudence and care, tax considerations put a different spin on stock picking for a Roth IRA. Roth IRA-worthy investments with the fewest tax advantages include taxable bonds, real estate investment trust (REITs) and trusts that hold physical commodities. All of these investments are taxed more harshly than stocks. If you have room for them, prioritize which stocks you should put into your Roth IRA. The higher the dividend a stock pays, the more of its returns are taxed annually. In general, you should have more of a bias toward dividend-paying stocks when selecting which ones to put into your Roth IRA. Though active management is not recommended, investors who insist on active management should do so in their Roth accounts before they would consider doing so in taxable brokerage accounts. Investors who trade stocks on their own or who select mutual funds with high turnover can avoid capital gains taxes associated with frequent trading. The stocks that benefit the least from tax-advantaged accounts are ones that do not pay dividends and that you hold for many years. The bonds that benefit the least from being held in a Roth IRA are tax-exempt municipal bonds. For the most part, picking stocks for a Roth IRA is the same as picking stocks for any account. Investors should investigate stocks or stock funds and make sure these investments are prudent and reasonably priced. Losses are lost money, even in a Roth IRA. Can My IRA Buy Stock if I Am Selling?